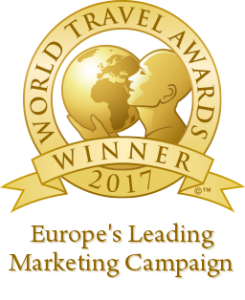 We’re proud and very excited to announce that our #EuroFoodTrip campaign, a collaboration between iambassador and the Costa Brava Pireneu de Girona Tourist Board (Spain) and Apt Servizi Emilia Romagna Regional Tourist Board (Italy), has been nominated for the prestigious World Travel Awards in the category Leading European Marketing Campaign. This ground-breaking campaign saw two competing destinations that are international front-runners in digital marketing collaborate for the first time to promote their gastronomic traditions. We’re especially excited because this nomination represents another milestone for influencer marketing campaigns and an excellent recognition of cross-border DMO collaborations. Read more about the EuroFoodTrip campaign. 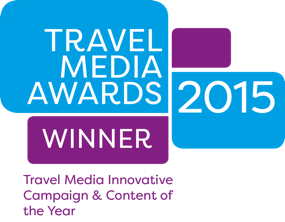 Winning this award would mean the world to us but we need your help. Please vote for #EuroFoodTrip! Costa Brava and Emilia Romagna are our two favourite food destinations in the world! Linking these two regions is the stuff of foodie dreams! ps/voting closes on 9th August 2017.